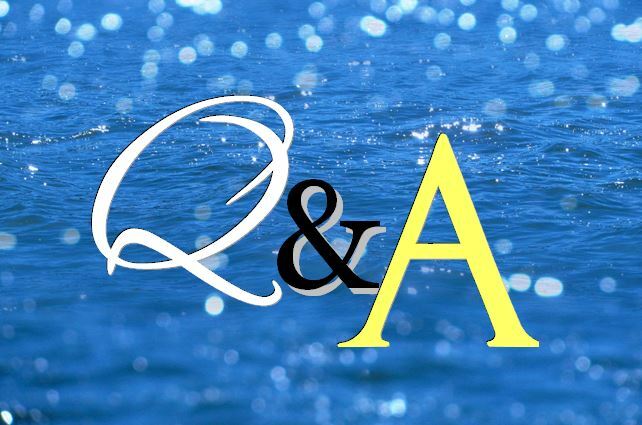 READERS ASK: how much research does it take to produce an historical romance? MY ANSWER: it depends… on many aspects. Some readers of historical romance are true history buffs. Whether they’re history majors, professors of American History, or simply read everything they can get their hands on about their favorite era in the world’s back story, some are simply very well-informed. Every writer has to research enough to please the most savvy of readers while avoiding the trap of ‘falling in’ and studying so much the fiction never ends up on the computer screen. A writer needs to know enough about every little detail as to please history buffs while weaving the truth of available inventions and evolution of the English language without miring the characters and storyline in too much trivia. It’s a balancing act. Yet one of the beautiful things about writing fiction is that it’s fictitious. If I wanted to create a late-season blizzard that stalled the train transporting mail order brides to Prosperity, Colorado— I could fabricate said freak storm in May of 1881 and claim artistic license. Typically when authors move true historical events around, dropping them into an order that suits their purposes or fabricates something that could have happened, they’ll make a note of said artistic license at the book’s back matter. To put the notice up front might give away a little too much of the story ahead of time, and that’s no fun. Some authors research before they begin writing, others look details up as the first or second draft takes shape (and they know what information is needed), and others outsource the research altogether. I tend to regularly immerse myself in researching interesting tidbits of the late 19th century so I have a framework of understanding and background knowledge to draw from. I do a lot of research as the first draft develops, especially as I realize some aspects need fact checking. 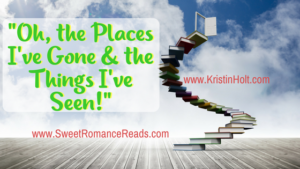 In my opinion, the setting should be an integral part of the historical romance… and the novel couldn’t be arbitrarily moved to another era, another locale, another century with no more than a cursory adjustment. I hope I’ve succeeded in bringing the setting of Prosperity, Colorado to life, that you could picture the scenery, the inhabitants, the stark differences of this remote camp from Evelyn’s home in New York City. Research can be done easily in this era of the Internet, with a wealth of information a mere search away. Some still visit brick-and-mortar libraries and browse paper-and-ink resources to gather information to enrich their writing. Others do first-person research such as interviewing the last vestiges of those who lived in the era. It makes sense to interview World War II veterans when writing a book set in the era. No one knows more about the subject that one who lived it. Some of my research came in this first-hand account of the life and times of the late 19th century. I’m very blessed to have a living grandmother who is now in her 90s and was born in 1920. 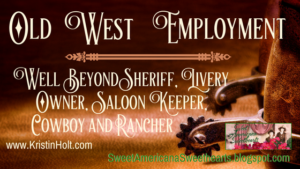 While she didn’t live in 1881, her grandmothers, grandfathers, parents, aunts and uncles did. She knows their stories. She heard all about the circumstances that brought these intrepid pioneers west to settle the Great Basin Desert. 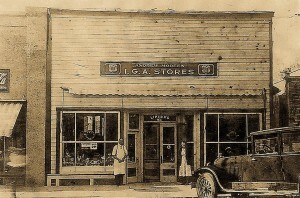 Her father (my great grandfather) owned and operated a mercantile in a tiny town and I’ve loosely based Sam Kochler’s store (The Bride Lottery) on tales I’ve heard my grandmother relate about her father’s business. In other blog posts, I’ll brief you on some of the elements of research I conducted while preparing for and writing The Bride Lottery. My purpose to to share some of the fascinating, true-to-history details you might enjoy. After all, who knew women wore maternity corsets? I’ll admit I had no concept of such a thing before researching corsets for this novel… after all, I’d not written a pregnant heroine before. Sure, I knew all about corsets in the latter half of the 19th century, and that many women on the frontier dispensed with them altogether, but once I knew expectant mothers wore special corsets—not to maintain a waspish waistline, but to safeguard a healthy pregnancy— I knew mention of such societal expectations had to make its way, as naturally as possible, into the book. 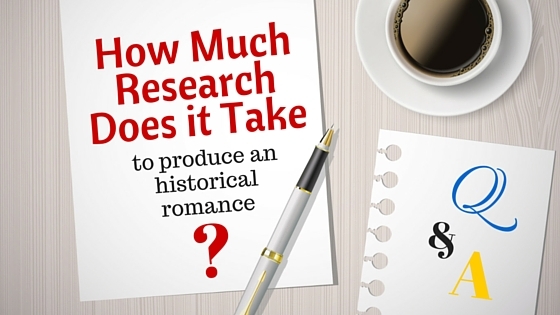 So, how much research does it take to produce an historical romance? Ask five different authors, and you’ll determine one size does most certainly not fit all. Well stated Kristin. Sometimes it is hard to know when to stop researching. For me, it’s the fun stuff. Hi Tracie– thank you! You’re so very right about the research… it’s a challenge to know when enough’s enough… it is FUN!